We know that our Facebook news feeds go through a complicated filtering process, affected both by Facebook's internal algorithms and our own efforts to hide or show particular friends. However, not all third-party apps are so complex, and Skype will pull in your Facebook news feed pretty much as it's published. Skype and Facebook have been partners for several years, but as each platform has evolved it hasn't always been obvious what you can or can't do from each tool. If you choose to connect Facebook from the desktop Skype app on either Windows or Mac OS, you can get an unfiltered look at what your friends are up to. When you fire up Skype you may get an automatic prompt to connect Facebook from the Skype home screen, but if not then click the blue cog to the right-hand side and choose Connect to Facebook. Enter your Facebook username and password, and you're away (although if you have two-step verification activated, you'll need a code from the Facebook mobile app). 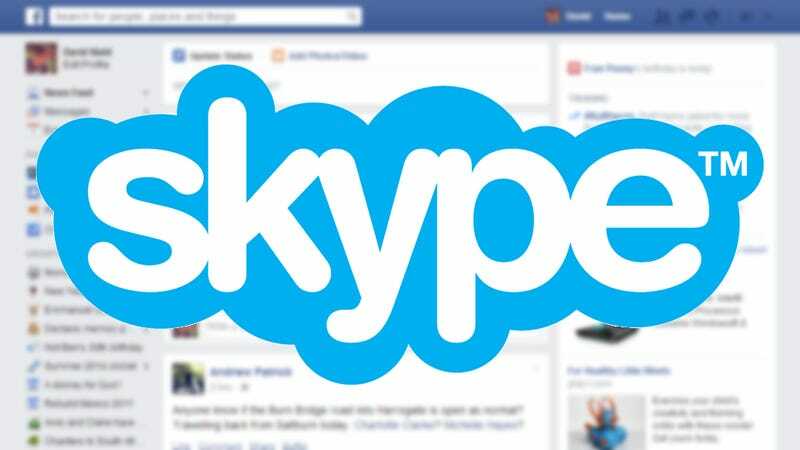 Updates from all of your Facebook friends will populate the Skype home screen, and you can switch between Facebook updates, Skype updates, and a mixture of both from the links at the top. Note that this is not the same process as importing your Facebook contacts and automatically adding them as Skype friends, although you can access the Facebook message system through the Skype client. Now, we're not privy to the inner workings of either Skype or Facebook, but to our eyes the news feed displayed in Skype is shown in a chronological, unfiltered way—very recent updates are shown, often from friends that rarely appear in our official news feed (a change that could be viewed as either positive or negative depending on your perspective). New updates can be viewed by clicking on the refresh button, which makes the whole Facebook experience much more Twitter-like. You can like and comment on updates from within Skype, as well as message contacts and update your own status. Give it a try, and you might find that Skype is the third-party Facebook client you've been looking for.